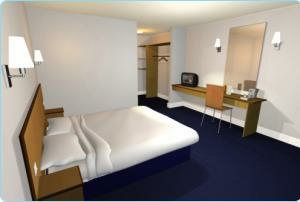 Travelodge Cardiff Central Budget HotelEarly Check-in and Late Check-out service available at this hotel. Early Check-in from 12noon and Late Check-out available until 2.00pm, subject to available rooms. Charged on arrival at £10.00 for each service. Early Check-in and Late Check-out service available at this hotel. Early Check-in from 12noon and Late Check-out available until 2.00pm, subject to available rooms. Charged on arrival at £10.00 for each service. Exit M4 junction 32 follow the signs for city centre (A470). exit M4 junction 29 and follow signs for the city centre (A48). Head into city on A470 (North Road), follow the road round and turn into High Street. The Travelodge is on the right between the Walkabout Pub and Old Monks.